Three former Dutchmen will visit Lebegern Learning Commons in Allan W. Mund College Center on Tuesday, April 2, at 11 a.m. to discuss their positions at the Hershey Company. Richard Lee Webber ’15, Amber Cenci ’11 and Jordan Witmer ’12 will be returning to their alma mater to headline the next installment of Pizza with Professionals. Webber currently serves as a senior financial analyst, responsible for coordinating the annual plan for The Hershey Experience business unit along with creating financial updates, capital and strategic plans. Cenci, who originally joined the company in 2015 as a Demand Planning Analyst, is now a manager in the strategic revenue growth management department during her second tenure in Hershey. 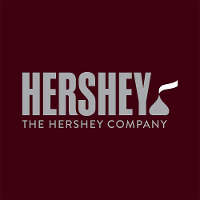 In total, she has worked for Hershey Company for a little over three years; however, she was employed as a data intern for LVC as a student from 2009 to 2011. Finally, Witmer has been in the role of associate merchandising manager for the past year and a half. While in the position, he was also working toward his M.B.A., which he earned from Mississippi State University in 2018. In order to gain perspective on what it’s like to be a student hoping to work for the giant corporation, La Vie reached out to Louis Berube ’18, who just finished his internship with Hershey in December. Berube, who now works for a propane company in New Hampshire, offered advice to students looking to apply for a position with Hershey Company. For more information on Pizza with Professionals, visit Handshake through www.mylvc.edu.